After 45 years in Florida, I am moving to Arkansas. I worked for Caterpillar for almost 18 years but took a buyout when they shut the plant here. Well, I have accepted a job with Cat again but in North Little Rock this time. I have sold all my VW stuff and my Jeep. I may look for a Willys wagon once I get settled up there. 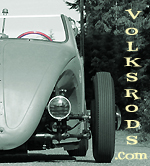 Any volksrodders near Little Rock? I am looking at buying a house in Cabot. Damn ! When you make a change, you don't fool around. Hope the move goes smoothly for you. Sorry to here ya got rid of your bug stuff , I really enjoyed seeing your stuff on here years ago , when I was on here under another name .… Well what ever you do , I hope it's all good . Best of luck with your move! If you're thinking about an early Willys wagon, a buddy has a restoration shop and does a lot of work on the wagons and pick ups. They are pretty cool rigs. Pretty close to me...compared to before. 4 hours or so. Big VW show in Eureka Springs every year. Eureka Springs is a good visit if VWs are there or not. Used to be a couple of guys up that way...I might remember who later when I'm not trying. I will be heading up next week with the RV trailer in tow. Once the house here sells I will be looking for a new place. Well, I have been in North Little Rock for four months now. I'm still living in my little RV and the family is still in Florida. I work about 70 hrs most weeks and have been going to Florida every month. Eventually I will buy a place here with a shop. I have hung out with Jason (Grumpy) a couple of times. He lives just a few miles from where I am staying. I doubt if I will own another VW but never say never.